Both plants operate on the same control system to ensure no variation in quality. We operate a fleet of new, modern trucks. 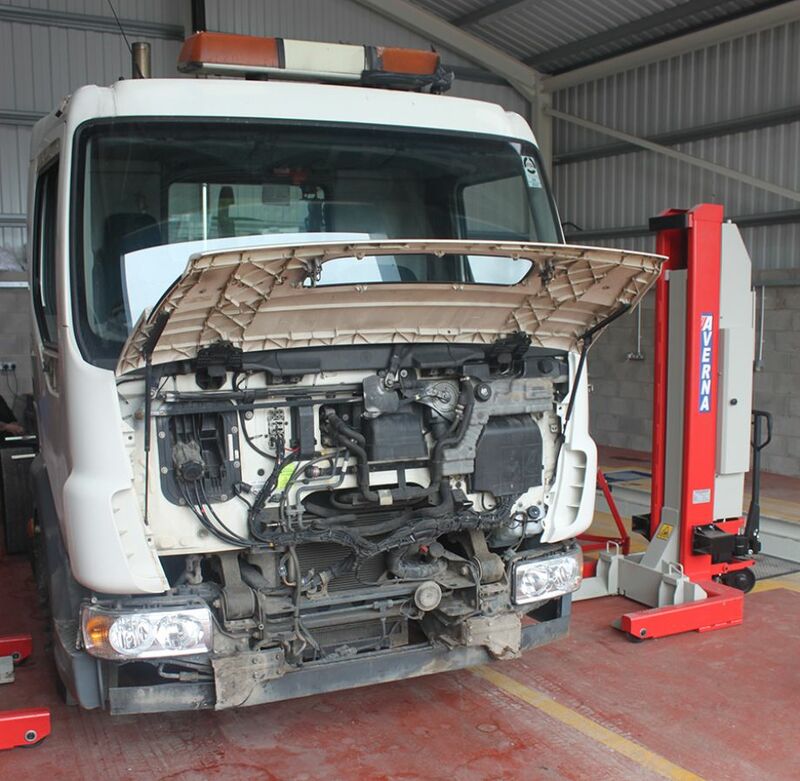 We maintain all our trucks in our new workshop, allowing us to keep the down time to a minimum. Aside of our 3rd party accreditation, we check the quality of our concrete daily. At our Middleton plant we have a technical lab where we carry out our own in-house testing, ensuring the best quality at all times. Our minimix service offers smaller loads with more accessibility to smaller sites. You can collect your concrete from either plant. Both plants are available to be opened at your convenience. We operate Mon-Fri 7am-6pm, Saturday 7am-12:30pm. We can also operate outside of these hours with a prior arrangement. Contact us anytime during our operation hours on 0161 653 7252 to place your order. Pay by cash or card and pay the driver. Our trucks come with a mobile card machine to make payment secure. Sorry we do not accept cheques. 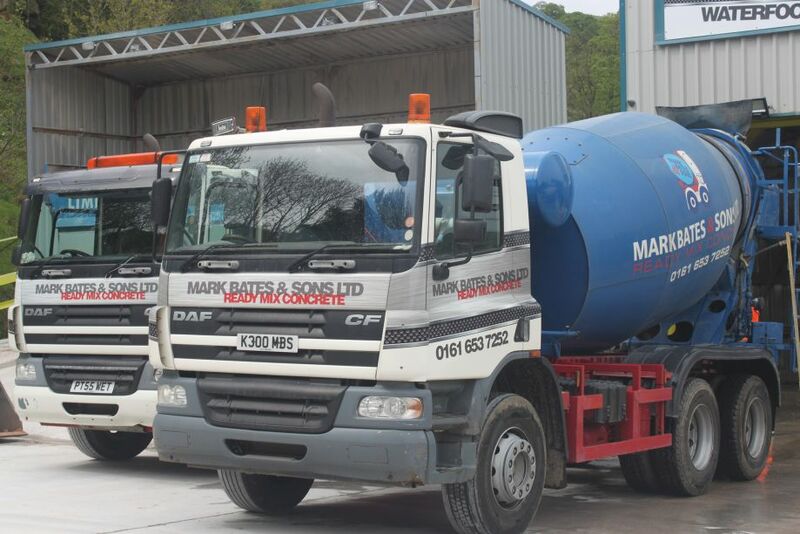 At Mark Bates & Sons Limited we have our own fully equipped workshop to maintain our fleet. This enables us to keep our trucks on top condition, regularly serviced, clean and tidy. Most of all we can minimise any unnecessary down time, ensuring our fleet is available at all times. We can supply all types of fibres and can help with obtaining structural alternatives to replace traditional mesh. If you need concrete to hold water, we hold the solution. Both of our Middleton and Waterfoot plants stock 10mm aggregate. 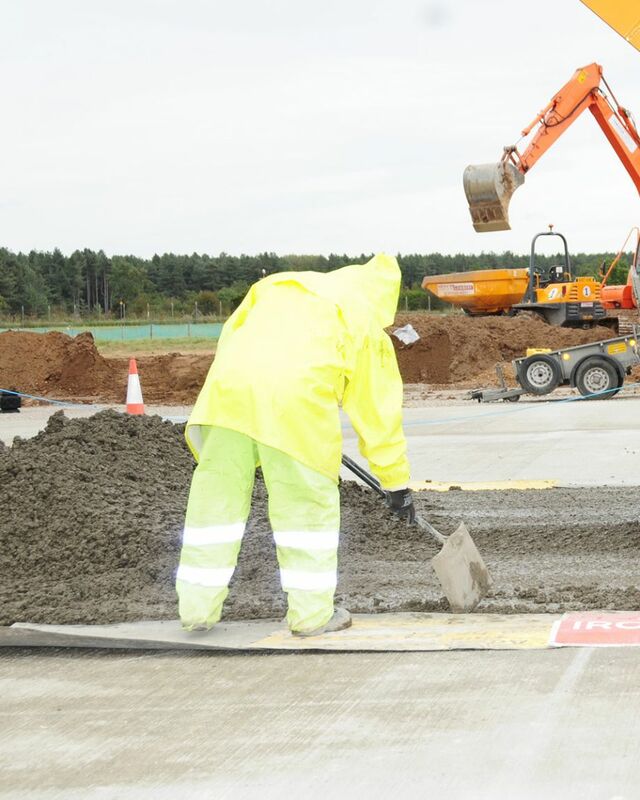 Optiflow and Optiflow X help to speed up the placement and finishing of concrete slabs with reduced labour and equipment, resulting in significant cost saving. 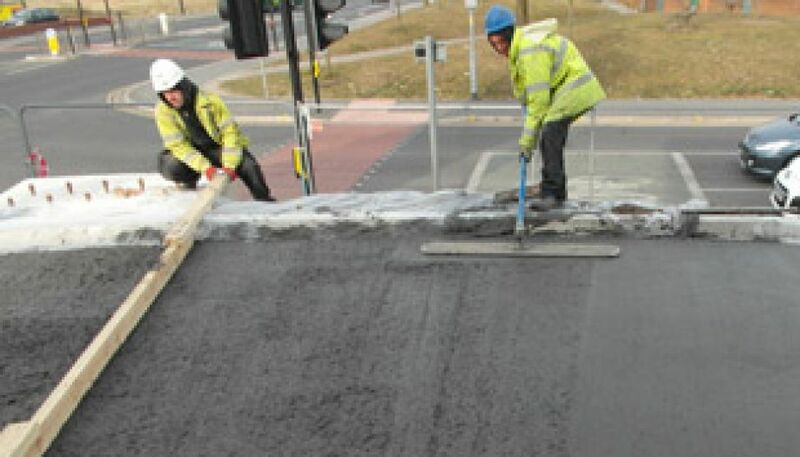 The material behaves like a liquid rather than a concrete and after being discharged direct into the slab from a single point, it self-levels with no vibration required. 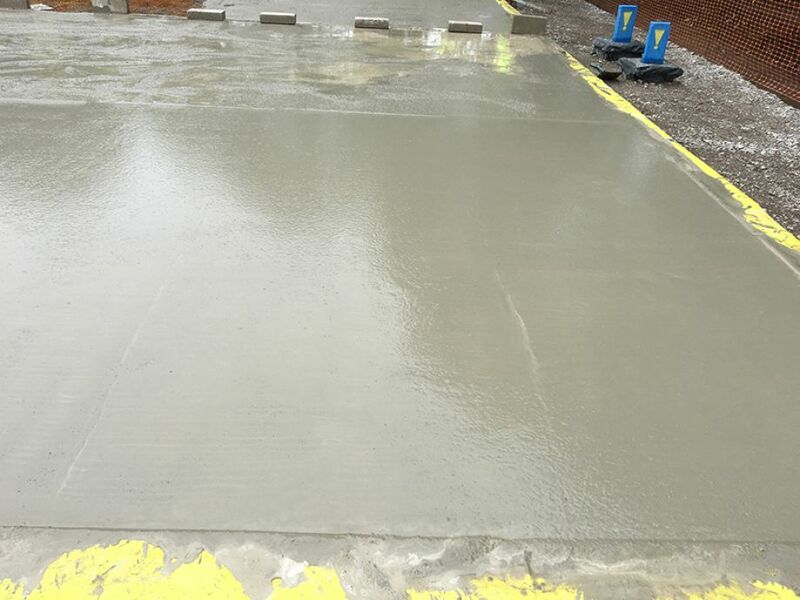 Using Kwickset enables newly laid concrete to be commissioned into service very quickly, sometimes within hours. Kwickset has very low permeability ensuring increased durability. Kwickset is designed for optimum early age strength (12 to 72 hours). Kwickset sets faster than normal concrete but still allows a reasonable window of time for placing & finishing. All our of professional drivers are trained in site safety. All hold MPQC (mineral product qualifications council) and all hold Driver CPC. All our drivers are also equipped with PPE. Our vehicles are equipped with flashing beacons and strobelight, reversing warning sounds and reversing cameras. All our drivers are trained through our in-house driving school to safely and professionally operate concrete mixers. At Mark Bates & Sons Ltd we try to go the extra mile. All our new trucks have been built with the “away wash” system to provide our drivers with a no hassle wash off facility. So no matter where we deliver, we can minimise our need to wash off on site. Not only that, but all the waste, including water, is recycled and used back at the concrete plant. Our internal team of professionals, can advise you of your requirements. With over 100 years experience between us, we are sure to have the answer. To keep you updated with your order we utilise modern vehicle tracking. This allows us to keep up-to-date with all our vehicle locations, and also be as efficient as we can with our fleet. 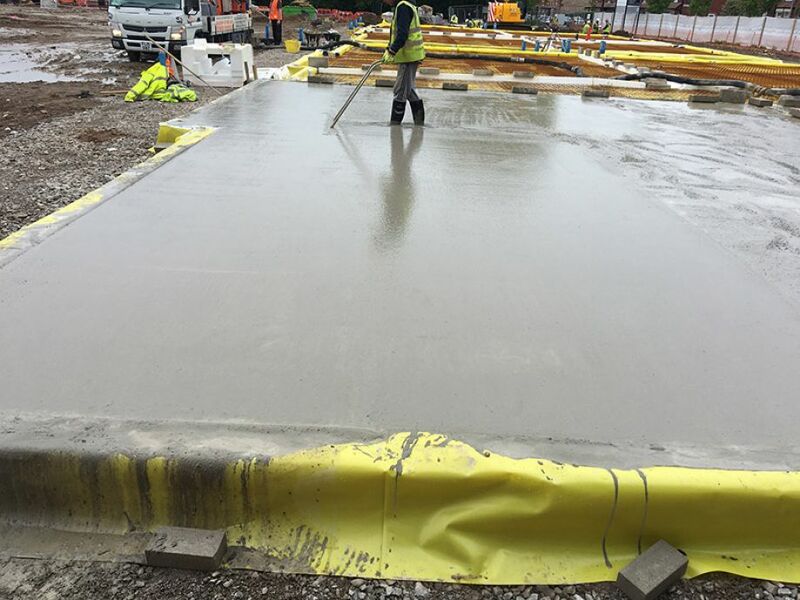 We are an independently run concrete supplier with over 25 years of industry experience, which helps us to understand our customers needs. We have recently added a new plant to the business, which doubles as a back-up plant to the Middleton plant. We have a new on site workshop to minimise the down time of our trucks. Both plants operate through a bespoke ordering system. This allows both plants to operate as smooth as possible. We only source our materials from suppliers with good or excellent sustainability ratings.